This sign is for Goodrich Rubber Footwear. The sign’s colors are blue, red, white and black. 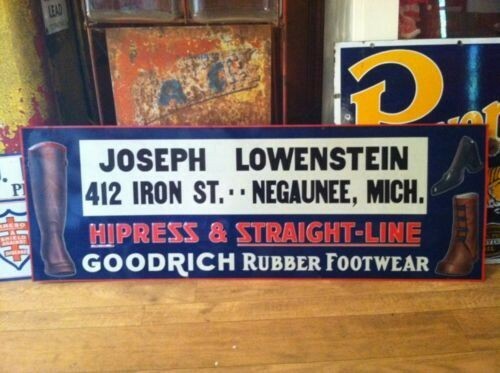 The text on the sign reads: Joseph Lowenstein 412 Iron St. Negaunee, Mich. Hipress & straight line Goodrich Rubber Footwear. The sign shows a boot to the left and text to the right.